I require that all wizards must learn a new spell before they can advance a level. While they could just buy a scroll of a spell they don't know off somebody, I actively encourage them to make up entire new spells. Here are a few that have appeared in my game. A strangely-coloured cat appears above the head of a single target within range and immediately attacks it. The cat will continue to maul the target until forcibly removed, at which point it will attack the closest living being. If killed, the cat vanishes in a puff of smoke. A small mass of bees flies from the caster's hand to attack one target within range. 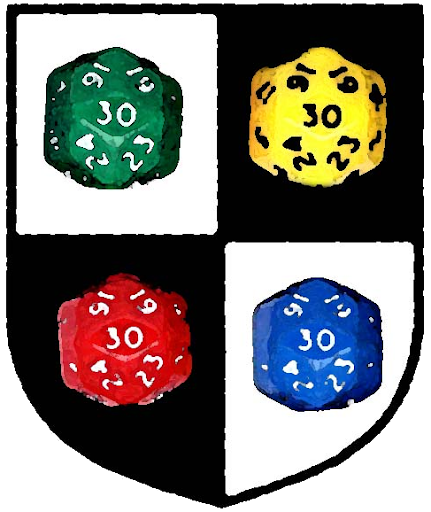 Each round, the target takes 1d3 damage, and must make a fortitude save or take a -2 penalty on all attacks rolls, skill checks and AC for 1 round. Creatures with damage reduction are immune to the bees. A small crocodile (HD 1d8+2; AC 14; Bite +1 [1d4+1 damage]) appears within range and attacks a target of the caster's choice. Once the target or the crocodile is dead, it vanishes in a puff of smoke. A crocodile appears within range and attacks a target or targets of the caster's choice. Once the targets or the crocodile is dead, it vanishes in a puff of smoke. A giant crocodile appears within range and attacks a target or targets of the caster's choice, with a +2 bonus because of how angry it is. Once the targets or the crocodile is dead, it vanishes in a puff of smoke. When cast on a nearby pool or stream of water, this spell imbues it a little positive energy and a whole heap of fertilizer, and in an arid environment, will actually call up more water. The water is not drinkable (see aforementioned fertilizer), but is great for growing plants, and affects undead as if it was holy water.